God is not sitting up there in heaven, wringing His hands, so to speak, saying, ‘What am I going to do? Everything down there is a mess.’ No. He has a plan and it leads to the return of His son Jesus Christ. We need to remember that, as the old spiritual put it, ‘He has the whole world in His hands.’ Psalm 24:1 reminds us ‘The earth is the Lord and all its fullness.’ The world and those who dwell there in are ultimately under His control. Oh yes, things go wrong at times, because we live in a world of free will, but in the midst of it all, let us remember, God is still in control. Don’t live in anxiety or fear. Don’t live in despair or despondency. Live in faith. Live with the knowledge that we are going somewhere. Jesus will come again. Meanwhile, it is our responsibility to prepare for His return, to be His agents and to extend His Kingdom here on earth. The short little book of Jude tells us to ‘contend for the faith.’ In other words, be able to declare what you believe and why you believe it. Many Christians today only have a vague idea of what they believe. In past days, even in some churches today, people recited creeds, such as the Apostles Creed, which is a succinct statement of basic Christian beliefs. For many, this was no more than a tradition, but, properly understood, it is a basis for belief. Every church should have a clear statement of faith as to what are their core doctrines. In light of the Supreme Court’s decision on gay marriage, churches need to add, if they haven’t already, a clear statement as to their belief in traditional biblical marriage to their by-laws. I know that this is obvious, but so often we talk more than we pray. 2 Chronicles 7:14 calls us to pray for our nation. I Timothy 2:1-4 calls us to pray for our leaders. John 17:20-23 is a prayer for the church. We need to pray for God’s Spirit to be poured out on this land. We need a third great awakening. I love the quote by Alfred Tennyson, ‘More things are wrought by prayer than this world dreams of, so let your prayers rise like a fountain, night and day.’ Prayer changes things. Dr J Edwin Orr, in an article on revival in the critical days before the Civil War writes, Now, conditions deteriorated in the middle of the 19th century. Why? People were making money “hand over fist,” and when they did, they turned their backs on God. But a man of prayer, Jeremiah Lanphier, started a prayer meeting in the upper room of the consistory Building of the Dutch Reformed Church in Manhattan. He advertised a prayer meeting. Only six people out of a population of a million showed up. But the following week , there were 14 and then 23; they decided to meet every day for prayer, then they filled the Dutch Reformed Church, the Methodist Church on John Street, then every public building in downtown New York was filled. Horace Greeley, the famous editor, sent a reporter with horse and buggy riding around the prayer meetings to see how many men were praying. In one hour, he could only get to 12 meetings, but he counted 6,100 men and then the landslide of prayer began. People began to be converted (10,000 a week) in New York City. The movement spread throughout New England. Church bells would bring people to prayer at eight in the morning, twelve noon, and six in the evening. The revival went up the Hudson and down the Mohawk. For example, the Baptists had so many people to baptize, they couldn’t get them into their churches. They went down to the river, cut a big square in the ice, baptized them in cold water…and when Baptists do that, they are really on fire! Trinity Episcopal Church in Chicago had 121 members. In 1860 they had 1,400. This was typical of all the churches. In one year, more than one million people were converted. And that revival crossed Scotland and Wales and England, South Africa, South India-anywhere there was an evangelical cause, there was revival-and its effect, a movement of prayer…it was sustained by a movement of prayer. Let us be encouraged. Let us know we are on the winning side. Let us press on, using the weapons of our warfare, which are spiritual, including the weapon of prayer. Let us pray and intercede for our nation. There is a saying, ‘Better to light a candle, than curse the darkness.’ It is so easy to angrily rant against what has happened in America, including the Supreme Court’s decision, but it is far better to be a positive influence for the sake of the Kingdom, in the midst of a world that is becoming increasingly dark. America was originally spoken of as a city on a hill (Matthew 5:13-16). Let us pray for that to happen again. One of the ways to do this is to walk in love and truth. I heard a friend of mine, Steven Uggen, who had led outreaches to the Gay Pride Festival in Minneapolis in recent years, say, “Love without truth is not love at all.’ That is so. You need both love and truth because love without truth can be weak and truth without love can be harsh, judgmental and condemning. You need both. When Jesus ministered he demonstrated both love and truth. Take the story of the rich young ruler, who came to Jesus seeking eternal life. The Bible tells us Jesus loved him, but He also pointed to the truth and condition of his life when he said, ‘Go, sell everything you have, give it to the poor and come follow me.’ Jesus pointed out the truth that he loved riches more than anything else. That was sin. 1. 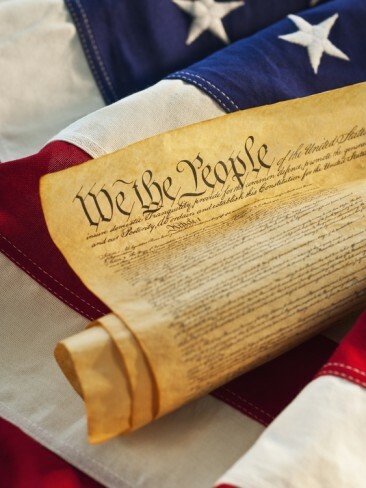 It is self evident – Like the words of the Declaration of Independence, ‘we hold these truths to be self evident,’ traditional marriage is self evident. A man and a woman are necessary for one flesh union and the reproduction of the species. It’s just like a nut and a bolt. Two nuts don’t join together, nor do two bolts. It is as simple as that. It is self evident. Anything else is not natural. 2. It is Biblical – The case for traditional marriage is a positive one that goes back to Genesis 1 and 2 where it states, ‘In the beginning God created man and woman.’ Anything different from this is against God’s created design. As John Stonestreet writes in Breakpoint, ‘Marriage is not something that human beings invented-so it is not an institution that we are free to re-invent. As Christians, we believe marriage was given to us by God for the benefit of man (that is, Adam) and woman (Eve). That plan is written into the moral fabric of the universe, which is why marriage between man and woman is known in every human society throughout history.’ See also Jesus’ affirmation of traditional marriage in Matthew 19:4-6. The Bible teaches traditional marriage. 3. Children need both a father and a mother – Yes, there are exceptions – single parents and the like – but you don’t make the exception the rule. Studies show that children do best with a mother and a father. Children are the neglected part of the debate on gay marriage and the long term consequences of promoting gay marriage are yet to be seen in the lives of our young people. I want to commend to you two articles from Breakpoint and a resource from Focus on the Family. Love, Rights and Marriage (July 8) and Talking Obergefell with Your Kids (July 7) that address talking through these issues with your children. Click here to request a guide on ‘How to Talk to Your Children About Homosexuality.’ from Focus on the Family.